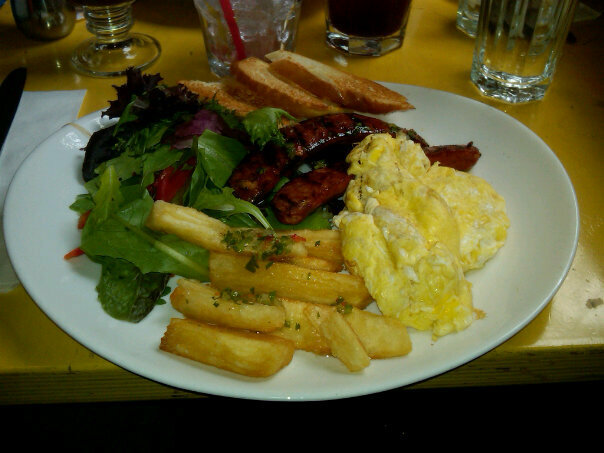 New York Deals | Food E.
It’s not often that you’ll find a negative restaurant review on Food E. Most of the time if I go to a restaurant and it’s mediocre or downright terrible, I take it to Yelp. I like to keep this a positive place and one where you can come to scroll and find all amazing things. Well… consider this a break in tradition. Last night The BF headlined a show at Caroline’s on Broadway and a friend and I thought we’d get some drinks and snacks pre-show. 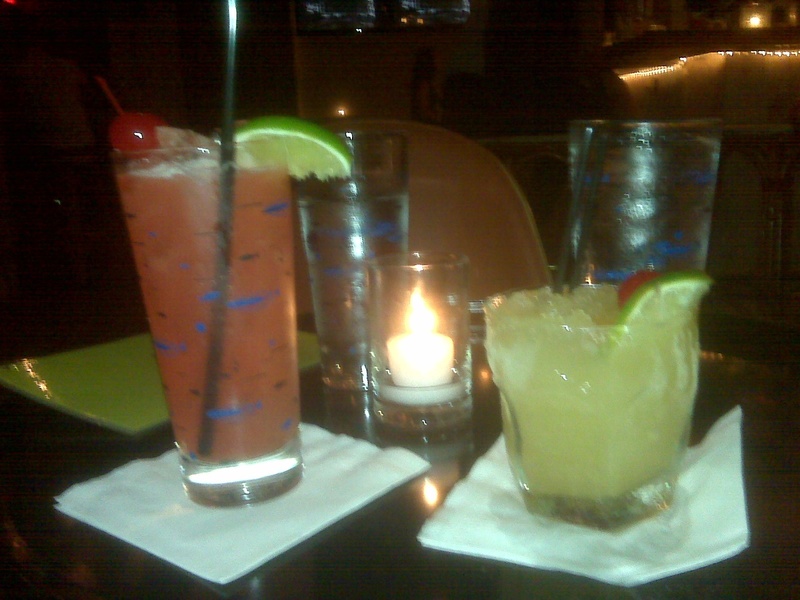 Finding a bar in midtown is not always easy, so I took to the interwebz for recommendations. I found that Little Town NYC which opened their first shop in Union Square, had opened a sister store in midtown. Being from Rochester, people are always trying to tell me where I can find garbage plates in the city, and Little Town is a name that’s come up more than once. The restaurant features all New-York-State-based foods: Buffalo wings, Rochester garbage plates, Long Island oysters, Binghamton spiedies, etc. I was incredibly excited. Upon first entering the restaurant, I realized there was no air conditioning. Let me tell you a little something about New York City in the summer: it’s freaking hot. In addition to the steamy temperatures, we walk everywhere. And I was wearing heels. 10 minute walk + 86 degrees + 4 inch heels = 1 sweaty mess. Little Town’s three pathetic fans were barely spinning and the air conditioning must’ve been set to 80 degrees. But I had told my friend this is where we were meeting, and meet there we would. We ordered pretzel crusted chicken fingers and fried oysters. My friend said she was concerned the chicken would be breaded in pretzel dough and I laughed at her. “No, I’m sure it’s coated in hard pretzel crumbs.” Oh… you’re sure, Lauren? You’re SURE. HOW CAN YOU BE SO SUUUURE? I was wrong. Soft pretzel breading with some kind of bizarro hard pretzel chunks mixed in. The fried oysters, served over “coleslaw”, were on the half shell. The oysters alone were pretty tasty, if not faintly tasting of heavy grease. I just wish those oysters hadn’t been nestled into giant dollops of mayonnaise mixed with wilted cabbage. During our meal I saw a garbage plate go by on its way to another table. I guess Little Town’s way of giving you your $18’s worth is to use “fancy” pasta instead of plain old elbow macaroni because the mac salad portion of the dish looked like an entree at an Italian restaurant. Here’s a tangent: street food is street food for a reason. It is cheap and popular because it is simple and accessible. Hometown favorites like garbage plates are not meant to be gussied up and served over fancy pasta on a china plate in a dimly lit bistro. I guess for a lot of people the novelty of a dish is worth eating out and forking over $18 for, but I am not one of those people. Overall, I would not recommend Little Town NYC based on lackluster service (we had to flag down our waitress for drinks, waited awhile to get said drinks, and flag her down again for the check), uncomfortable dining room, unavailable menu items, overpriced and underwhelming food, and stripping one of my favorite dishes of its charm. …too harsh? Now you know why I don’t write more negative reviews. Little Town NYC, 366 W. 46th St (between 8th Ave and 9th Ave), New York, NY. Have you ever been like, “Man, I could really go for a hot dog” but you have this weird hang up about all the weird bacteria that might be floating in the street carts? I know. I’ve been there. I feel your pain. What you might not know is that there are tons options in New York City for “gourmet” hot dogs – and by “gourmet” I mean prepared in a real kitchen and served with top notch ingredients. 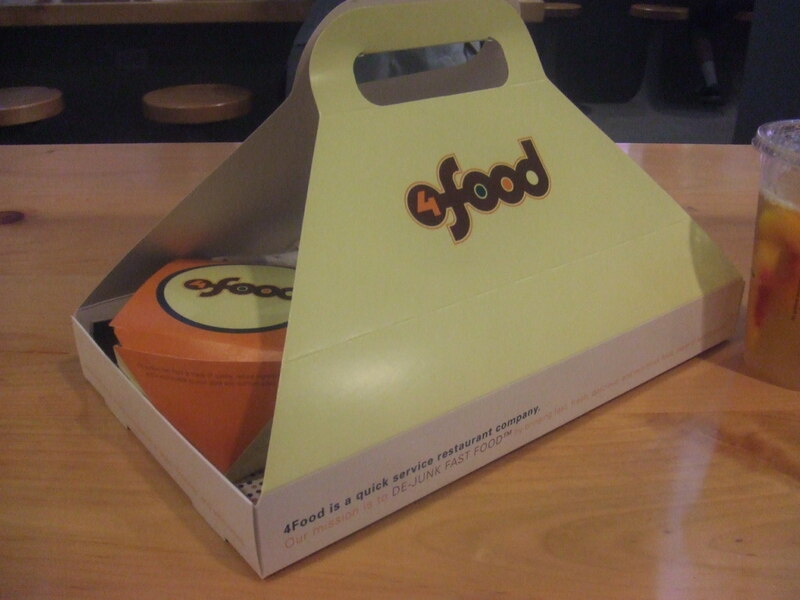 Below are three of the stand out options, all within walking distance of the others. So… you know, should you choose to do a “hot dog crawl,” you could hit all 3 in one shot. But let me warn you, 3 hot dogs in one sitting is a lot. Some might call it too much. Not that I would know from personal experience… I’m just saying. Crif Dogs, 113 Saint Marks Place (Between 1st Ave and Ave A), New York, NY. Crif Dogs is a tiny, hole in the wall place that you might walk right by were it not for the GIANT hot dog hanging outside the door. Take a walk down the steps and into hipster heaven: if there was any doubt, a note on the register tells you that they accept tips in the form of Tim and Eric quotes. I knew this was my kind of place. 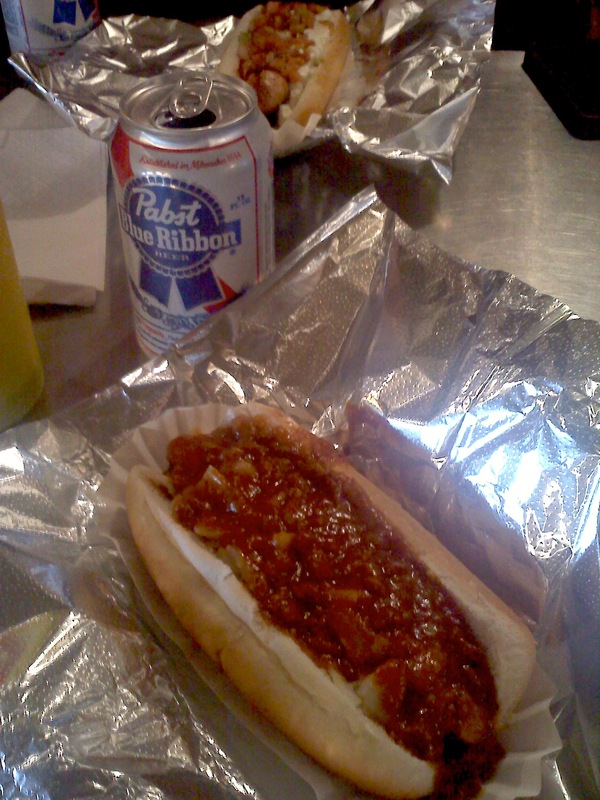 I ordered a PBR and a dog called Jersey’s Finest: taylor ham wrapped house dog smothered in mustard, onions & a secret chili sauce*. This was PERFECTION and my favorite hot dog of the three restaurants. It was a total guilty pleasure and probably had a bajillion calories, but who cares? A hot dog wrapped in ham topped with more meat? Ok! AsiaDog, 66 Kenmare Street (Between Mulberry St and Mott St), New York, NY. 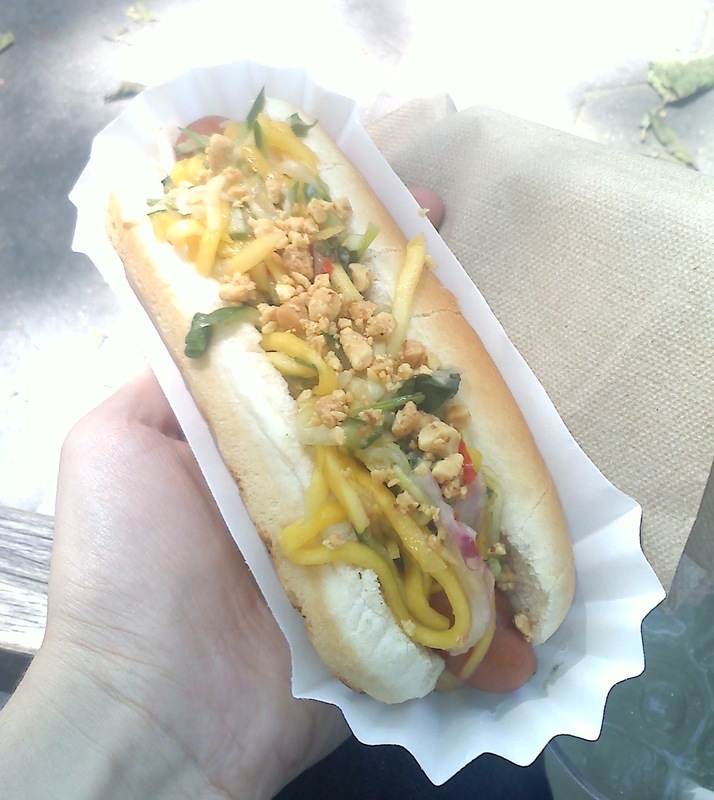 I tasted an AsiaDog when they had a small stall at Madison Square Eats, a gathering of specialty food stalls in Madison Square Park. The line was epic, but I waited 45 minutes because first of all, I wanted that dog and second of all, everyone kept raving about how amazing they were. I purchased a Sidney: a beef hot dog with Thai mango relish (cilantro, red onion, and cucumber) and crushed peanuts, and a sparkling limeade. If a hot dog can be refreshing, this one was. The topping was super fresh and crunchy, and the peanuts added an entirely different element that I wasn’t expecting. I love, love, love foods with drastically different textures and this hot dog was one of the best textured dishes I’ve ever had. Well done meals from high end retailers… in hot dog form? I’m telling you kids, it can be done. JapaDog, 30 Saint Marks Place (Between 2nd Ave and 3rd Ave), New York, NY. This was the last stop on my hot dog tour and I have to believe it had something to do with the fact that it was my least favorite. 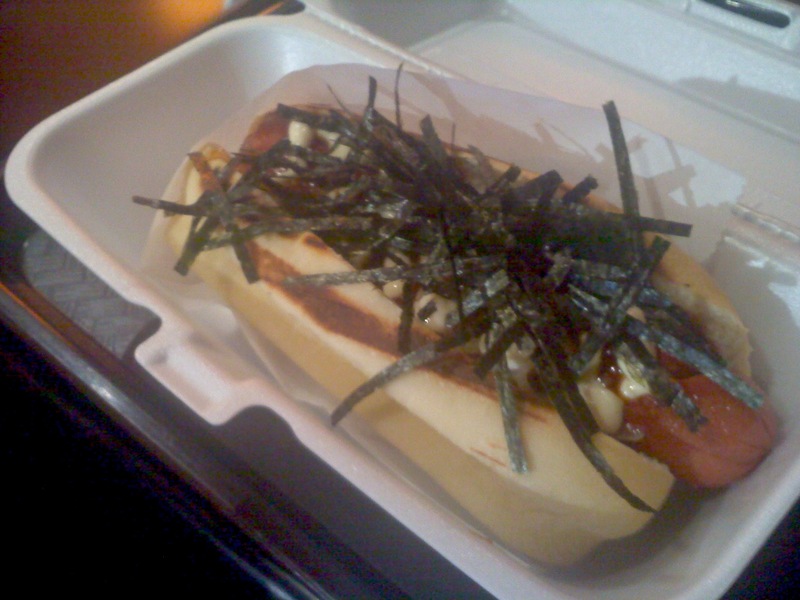 I ordered the Terimayo: a beef frank with teriyaki sauce, mayo, and seaweed. I scraped off all the seaweed because it reminded me too much of sushi (raw fish and hot dogs just don’t mix, you know?) and then it was pretty good, but nothing crazy or special. The hot dog did not have that crispy skin that I love and the bun was mediocre. Overall, my hot dog crawl left me feeling full and like I didn’t want to see another hot dog for quite some time. So while I may not recommend hitting all three of these spots at once, I definitely recommend one (or two…) for a cheapo meal any hour of the day. 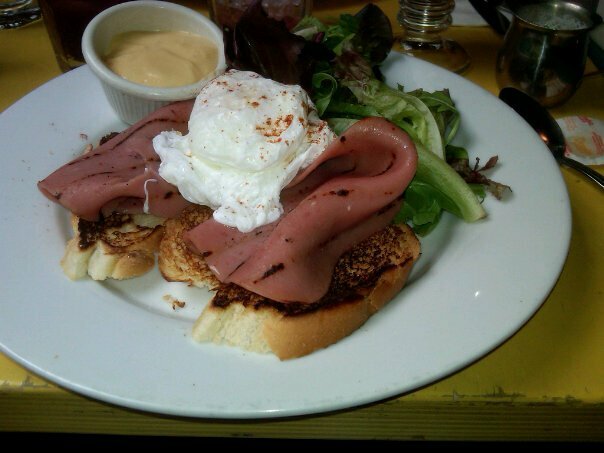 *For some reason, this item has disappeared from Crif Dogs’ online menu but you can custom build it if you want. I highly recommend that you do. You know you’re a dedicated food writer (or just fat) when you brave torrential downpours and hurricane winds for an ice cream festival at South Street Seaport. The New Amsterdam Market is one of many markets in New York City that offers locally grown produce and other local edible goodies, such as wine, maple syrup, ice cream, and cheese. All the vendors come from the North East each weekend and bring their delicious stuff with them. They host special events and festivals all the time, so it’s worth checking back to their website to find out what’s on the menu for the fall. 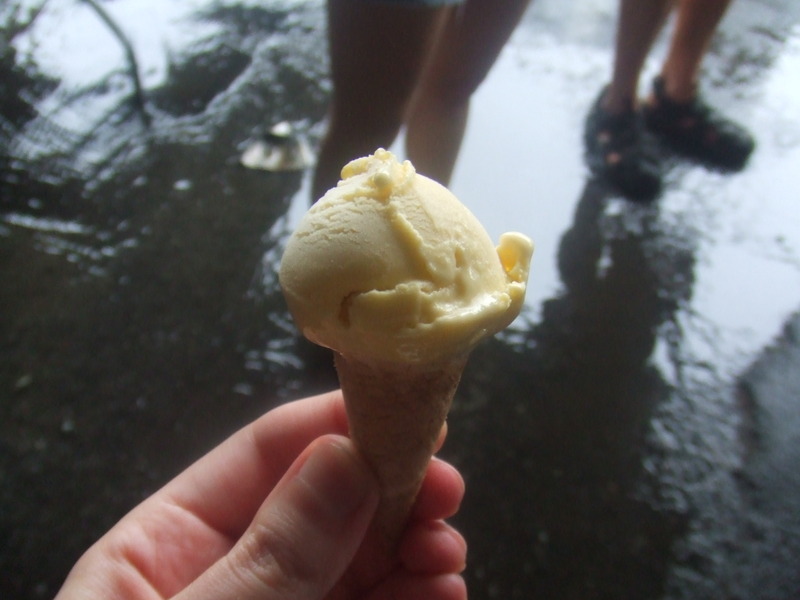 Sunday’s ice cream festival featured New York staples such as Van Leeuwen Artisan Ice Cream and MilkMade (mentioned here! 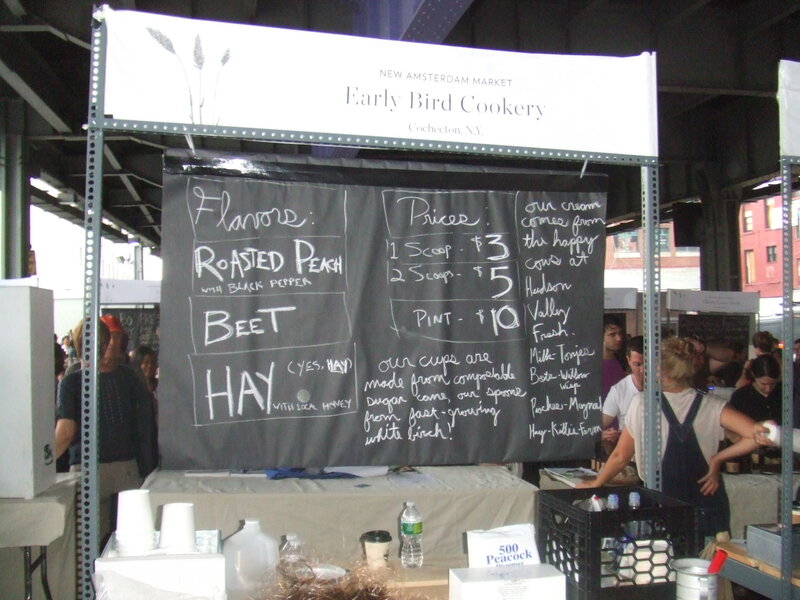 ), as well as Early Bird Cookery, Roberta’s, The Bent Spoon, and Marlow & Daughters. $20 got me 6 tiny cones of incredibly innovative flavors, some better than others. 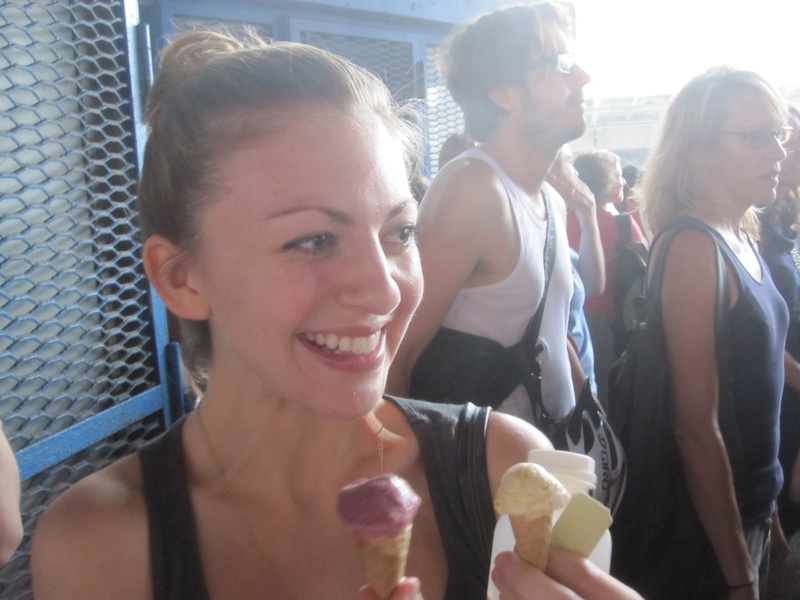 The stand out flavors were the roasted peach with black pepper, as mentioned, the nectarine sorbet, and the fresh ricotta with an incredibly thick and creamy texture and perfect cinnamon/nutmeg/allspice blend. The rain was pouring down but I was radiating sunshine from within. See? That’s a happy face. As I mentioned, I am never one to be up on new hot spots in the city. If I’m raving to a friend about an amazing “new” place I stumbled upon, it’s usually followed by an eye roll and a, “Yeah, that opened three years ago.” But this time it’s different! A ha. I am finally in the know. 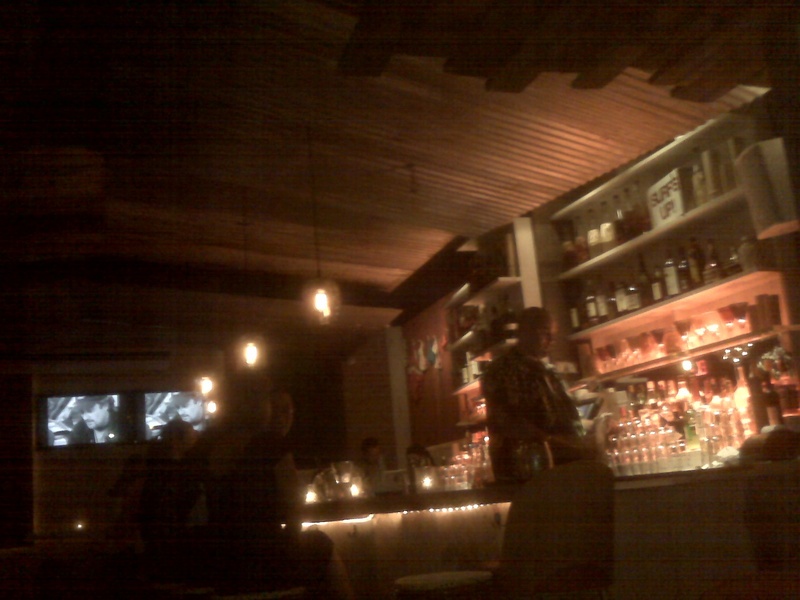 The bar at Reunion Surf Bar, complete with giant-sized bartender. Cowabunga, indeed. Reunion Surf Bar 44th Street between 8th Avenue and 9th Avenue, New York, NY. Reunion is an almost-hidden bar in Hell’s Kitchen (aka Culinary Wasteland) that is, for now, a spacious, dimly lit, surf-themed bar with potent cocktails and a creative bar menu that highlights the cuisine of Madagascar (Reunion island is off the coast of Madagascar). Videos of skaters and surfers play on the flat screen TVs as a “Gidget” vibe hangs heavy in the air. It isn’t fake or overtly kitschy – it’s just genuine and laid back and a welcomed oasis in the center of midtown Manhattan. Verdict: YUMMM OH THANK YOU JESUS YUM! I can’t tell you what a relief it is to now have a delicious cocktail bar with incredible food situated a few short avenues from my office. Or maybe it’s not a relief to my ever shrinking bank account. Whatever. The cocktails at Reunion are the perfect blend of potent and smooth. I hate when a bartender feels like they need to put enough alcohol in your drink to make you drunk after three sips. I’m not 19… I mean, 21 anymore, Bar Man. Make me a nice-tasting cocktail. Becca and I started out with $3 grapefruit/vanilla shots (yeah, Happy Hour til 8!) and swiftly moved on to cocktails: the Hang Ten was exceptionally delicious, and that’s coming from someone who doesn’t traditionally enjoy a sweet drink. The standout of the evening, however, was a sandwich called Le Americain: a baguette split open and stuffed with won ton meatballs, a sweet-mustard chutney, melted gruyere, and FRENCH FRIES. Did you hear me? I said a SANDWICH stuffed with FRENCH FRIES. The waitress told us it was “huge” and easily split between two people but truth be told… we could have each eaten our own. It’s just that delicious. I can’t recommend this bar enough, so hit it before it fills up with suits and Bridge-and-Tunnelers. Because you know that it will.